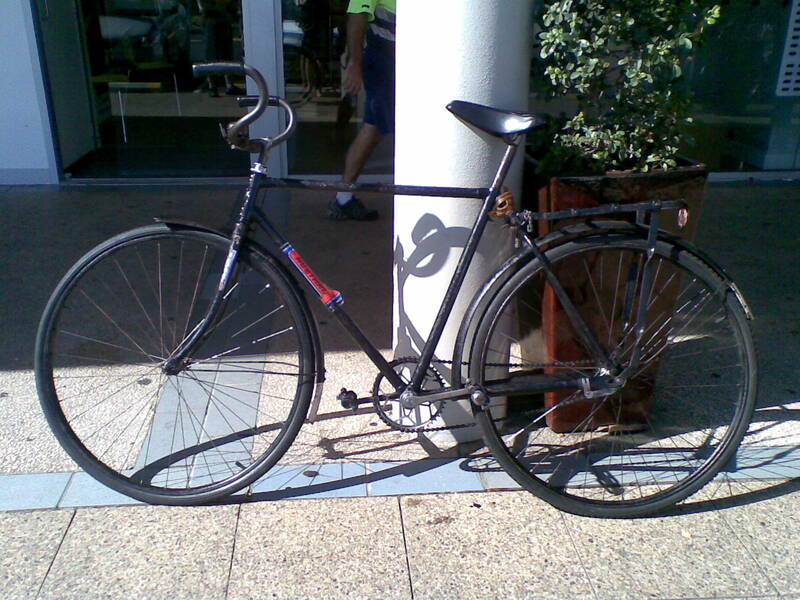 This entry was posted in My Bikes, Vintage bikes and tagged old bike, speedwell, vintage. Bookmark the permalink. 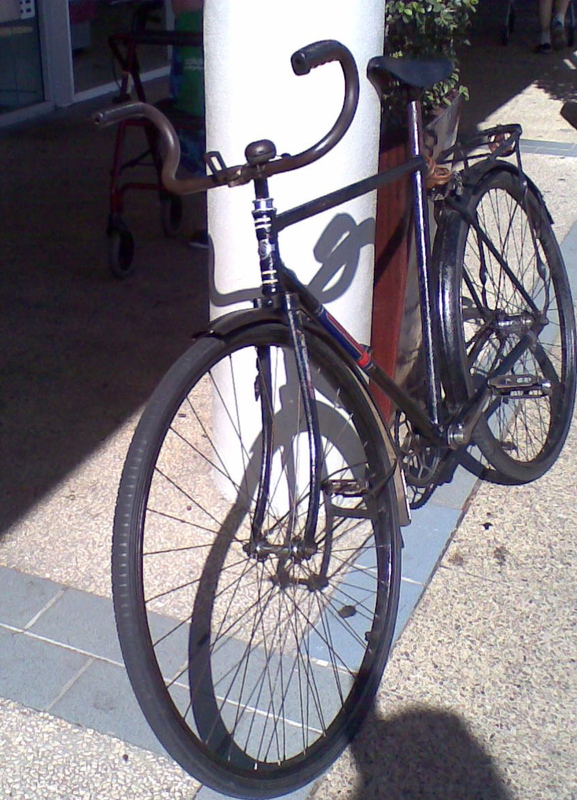 3 Responses to Original bike: an old Speedwell! Old school bike – and rider —- love it ! 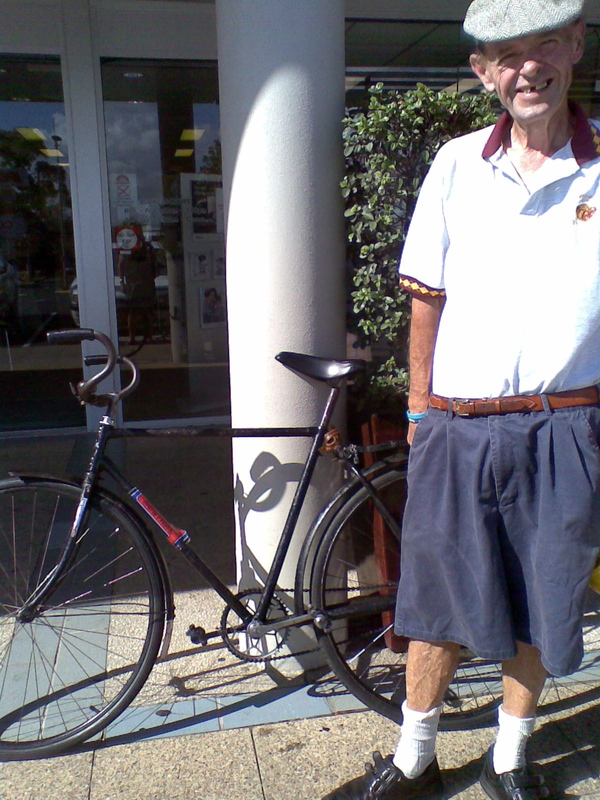 And for riders in Sydney, i just donated the same frame to western Sydney bike shed at fairfield showground. Go and feel how light it is. But it had malvern star decals. (1951) but was`nt a `malvern Star` according to his royal know all `torana`. Same geometry and cut outs on head stem.